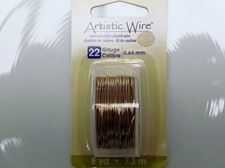 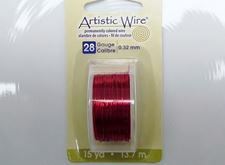 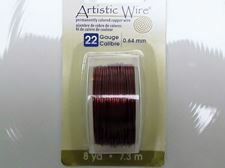 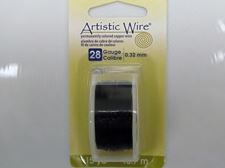 The brand Artistic Wire stands for quality dead soft enameled copper craft wire. 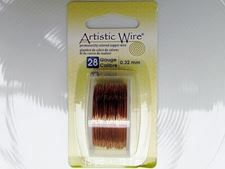 Exception on this are the tinned copper and the bare copper wire which with time will gain a patina or if you wish so, you can give them one. 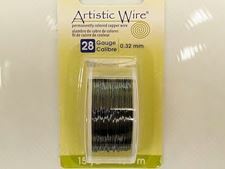 Please note that enamel is not UV resistant and also treat it gently with your pliers. 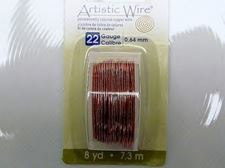 Consider 22 gau/0,64 mm as your multipurpose wire for all types of jewelry wrapping. 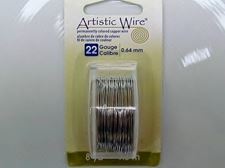 Think also of 28 gau/0,32 mm as a sewing thread and you will find wonderful ways to create and decorate. Don't forget when looking at the gauge number: the smaller the number, the thicker the wire! 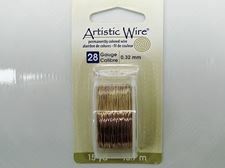 Questions, please contact dune beads. 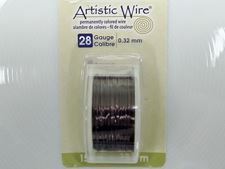 22 gau: create ear wire, headpins, loops & coils, wire chains, wrap gemstones, cabochons & crystals, create wrapped rings & bracelets, link elements, decorate aluminum wire.